Christian Democracy: Growing Together: What if Unions and the Co-operative Movement Joined Forces? Growing Together: What if Unions and the Co-operative Movement Joined Forces? The tentative agreement reached this weekend between the International Longshore and Warehouse Union (ILWU) and their Port of Los Angeles employers’ organization, Pacific Maritime Association, ended a months’ long standoff between labor and management that had left cargo ships with nowhere to deposit their goods at the nation’s largest docking area. 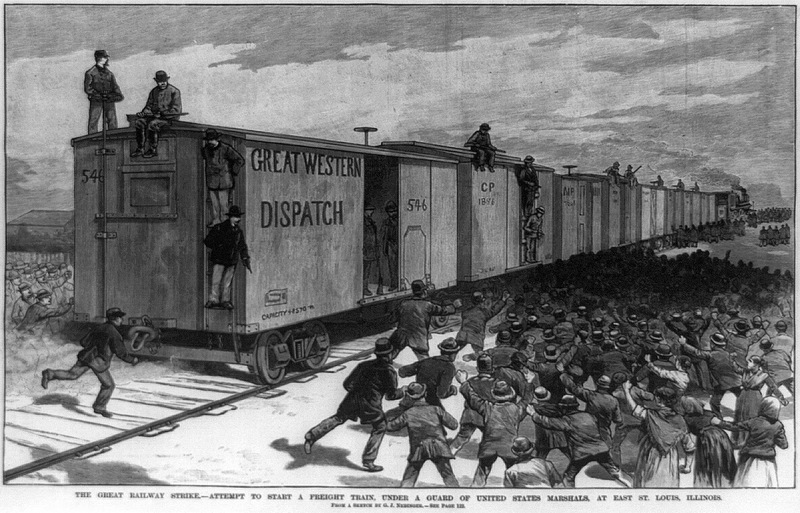 What made this situation surprising was that trade unions rarely exhibit nowadays the kind of clout and solidarity the ILWU utilized in order to bargain for the workers they represent. It was not always this way. Writing in Foreign Affairs, Bruce Western and Jake Rosenfeld have noted the decline and fall of American unions starting in the 1970s. [Foreign Affairs, May/June 2012, Vol. 91, Issue 3, p 88-99 accessed online] In the early 1950s, during the United States’ post-war economic boom, approximately one-third of the American workforce belonged to a union. In some of the heavy manufacturing states of the Midwest union membership rates sometimes exceeded 40% of the workforce. Unions generally represented working-class males, many of whom may have come from recent immigrant stock, and were the main (often only) wage earner in their households. Many union members, especially in skilled trades, worked whole careers for one firm, and performed similar work throughout their tenure. 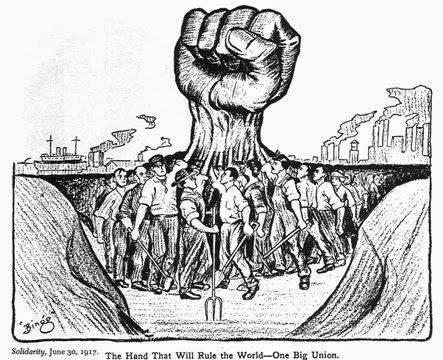 The success of organized labor unions - particularly large ones in key industries such as the Teamsters (trucking), United Steelworkers, United Auto Workers, and the International Brotherhood of Electrical Workers - to secure the economic well-being of this spectrum of the nation’s workforce ushered in a stable middle class. Workplace representation and collective bargaining set the country on a course where income equality was as well-distributed in our history as at any other time period. According to the “Gini co-efficient” developed by the Italian statistician Corrado Gini as a means of determining a nation’s income distribution, the U.S. was most equal in the late 1960s  and has become less and less so since then. The labor movement’s influence has waned, not so coincidentally, as wages have stagnated and inequality has grown. American workers have continued to raise their level of productivity. The Economic Policy Institute points out that between the years 1979 and 2013, productivity rose nearly 65%, but hourly wages of production and non-supervisory workers, who comprise the vast majority of the private sector workforce, rose only 8%. Or, put another way, workers have been getting 8 times as much done as before with little or nothing to show for their industriousness. One of the key elements of workplace representation in the form of trade unions was to bargain for their members to tie productivity to gains in wages and benefits. 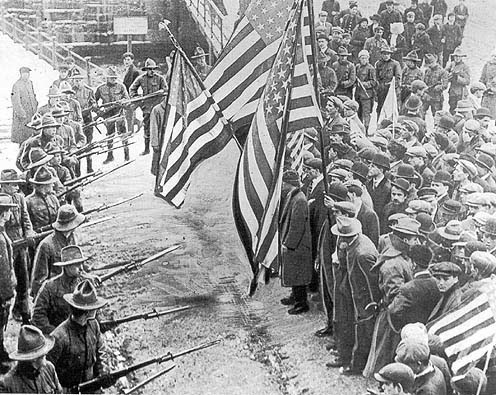 An important historical point about American labor history related by Western and Rosenfeld is that although the New Deal’s introduction of the National Labor Relations Board provided unions (and those that wanted to attempt to organize one) with an agency that would remain objective, the National Labor Relations Act created an elections system that required organized labor to develop a union shop or factory floor at each individual company or organization. European workers were generally more likely to have been governed by industry-wide workplace rules. While some large unions like the United Auto Workers might have successfully won concessions from the “Big 3” automobile manufacturers through similar negotiations, there was no guarantee that a union push would be successful or achieve collective or collaborative levels of pay, benefits, or contracts at other businesses. 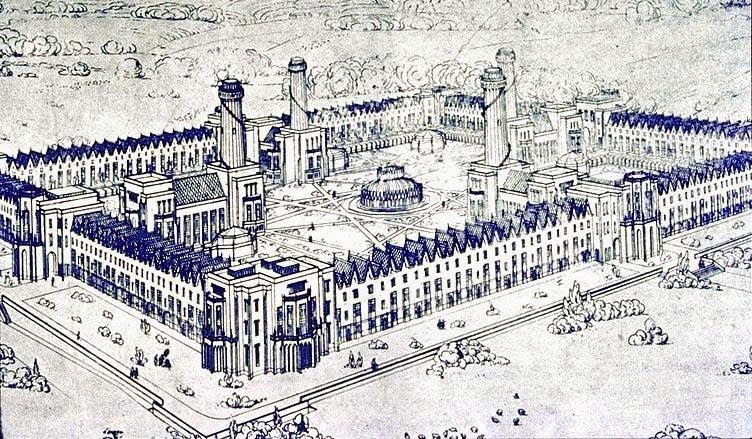 The post-war period provided American industry (and the unions representing many of those workers) a head start in what was to become a more globalized economy because the U.S. entered the era with a fully operational infrastructure unlike much of war-torn Europe and Asia. By the 1970s, however, increasing competition put labor and management at a crossroads. Deregulation efforts by policymakers in Washington and states made it cheaper to do business by cutting controls on prices, loosening the regulations businesses had to comply with, and opened up some industries to competition (such as trucking). But the result of these moves over time meant that jobs that opened up were often ones that didn’t have union backing. For instance, non-union sub-contractors could concentrate on certain manufactured parts or services and therefore do a job for less than could a big industrial company. Independent owner-operators were less expensive than unionized Teamsters. As more money flowed to imported products or cheaper domestic organizations – cheaper because they paid less wages and benefits on average – unions had a poorer hand in negotiations with management, and over time had to accept lower, or no, raises, and less secure pensions and other benefits that had provided economic security in households across the United States. When big employers found they could talk a union down to avoid layoffs, or could simply move production to a lower wage region or outside the U.S., effective unionization fell by the wayside. Areas of the country dependent on particular employers or sectors of the economy could be decimated by closures, and economic stagnation resulted when local residents who worked for these shuttered plants were less able to be consumers of other goods and services, thereby hurting the livelihood of more citizens. Unions would be worse off than they are if not for public sector unionization, which has actually grown since the 1970s. Approximately 2 out of every 5 employees of a government agency belong to a union (Western and Rosenfeld). Some of the most high profile unions these days are for teachers, police, and firefighters, where more than half are represented by bargaining organizations. As detractors of public sector unions like to point out, government doesn’t compete, and so the main drama is not how the bottom line is affected by giving additional compensation to employees but whether taxpayers want to support or rein in unions. Residents who may receive stagnant compensation and poor benefits from their employers may feel resentful that they contribute toward a better system for government workers. Instead of working to improve communication and a place at the bargaining table for themselves in their work lives we have begun to see a “race to the bottom” where taxpayers seek to trim benefits or pay increases for other workers who are unionized. This refusal to see solidarity with other citizens works in the opposite direction of the old adage about a rising tide lifting all boats. It has been reported that firms without unions, which may otherwise face competition from union-shops, or just a higher than average rate of union membership in their locality, may raise pay and promote better working conditions simply so that they can stop a union from starting. But we now have had scenarios where conservative, business-friendly, politicians, aided by anti-tax groups, have engaged in open warfare to defeat unions. Governor Scott Walker has effectively eliminated collective-bargaining rights for the public sector and civil service employees in the state of Wisconsin. There will likely be a major chilling effect on the labor movement from this legislation. The Republican Party will use government employees and other “expensive” union members as a prop to pit resentful lower wage voters and wealthy tax-averse donors toward additional taming of workplace representation efforts. Meanwhile, since the 1970s, the Democrats have steadily lost the vote of the traditional working-class white voters, having alienated parts of their target market by championing socially liberal causes that run counter to those union supporters’ beliefs. Meanwhile, American workers are told that they must contribute more toward their benefits, and they receive defined contribution plans (if they receive any at all) for their retirement instead of the defined benefit plans that provided an assured peace of mind. The resulting economic insecurity has economic ramifications. It stagnates growth because people are more concerned about their own bottom lines. There are social ramifications as well. Marriage rates have floundered due to concern over whether a potential partner is “marketable” enough. Unions may eventually go the way of the horse and buggy, or they might find ways to serve their membership through an alliance with other movements. Cooperatives may provide a vital ally for democratizing the American workplace and working toward a society with more equality and solidarity. Cooperatives are businesses in which the employees manage the affairs of the organization themselves (or in some cases elect their peers to oversee it) and share in the profits. Cooperatives are truly democratic compared to traditional American corporations and even small businesses because the workers, as owners, usually pool their money with other employees. Having “skin in the game” means that members of a cooperative usually have higher morale than wage or salaried employees elsewhere since they can realize greater gains if they succeed and have a greater opportunity for a real say in the co-op’s direction. Similar to unions, cooperatives attempt to raise the fortunes of all its members. The first major flowering of a possible link between traditional unions and the cooperative movement took place in 2009. The United Steelworkers (USW), based in Pittsburgh, signed an agreement with Mondragon Cooperative Corporation from the Basque region of Spain. Their objective was to collaborate on developing union-covered and cooperative business models. USW’s president Leo Gerard said that Mondragon’s “one worker, one vote” philosophy was attractive to the Steelworkers. He remarked that “(w)e see Mondragon’s cooperative model…as a means to re-empower workers and make business accountable to Main Street instead of Wall Street.” [Cooperative Grocer, January-February 2010, p. 9]. Both models have current challenges to success. Unions’ ability to provide their members with collective bargaining contracts, wages, and benefits has diminished as industries have more opportunities to relocate production. The main concern of cooperatives is being able to get enough access to capital and loans to get their businesses off the ground and maintain a level of investment great enough to (if desired) expand beyond a particular town or region. Mondragon’s astonishing success provides a blueprint for melding the best of the hard-fought lessons learned by union members with the innovative techniques, products, and local knowledge that co-ops tend to tap into. Mondragon had an unlikely start for a successful international organization. Father Jose Maria Arizmendiarrieta arrived in the small Basque town it is named for in 1941 and discovered that it was a backwater still reeling from the effects of the Spanish Civil War, with poverty, hunger, and few supporters outside the area as the Basque culture was viewed with suspicion by the Francoist regime in Madrid. Father Arizmendiarrieta created a technical college to train local youth, and together with his stress on traditional social teachings of the Catholic Church related to solidarity and civic participation, helped organize a cooperative venture. Its first industrial venture in 1956 was to build paraffin heaters. It eventually spun off additional co-ops involved in other projects, and today works as a federation of more than 200 related and allied worker-run concerns that collectively employ over 70,000 people. But the sophistication of enterprises Mondragon has become involved with has made their success a little more daunting to attempt to emulate in another culture. That is not to say it can’t be accomplished, but that an American version of the federation will need to adapt to local conditions, concerns, and objectives. Mondragon itself has colored outside of the lines a bit from strict adherence to traditional co-ops. One of the chief problems co-ops can fall prey to is that they work in isolation, which can put them at a disadvantage when competing against more traditional market forces. Mondragon’s network solves much of that problem by a frequent melding of interests with other lines of business. For example, some of its retail stores might involve owner-workers providing direction as one would expect, but, like a membership shopping club store in the U.S., also might invite shoppers to become members. The collaborative effort, which has also been a feature of the flexible manufacturing networks of Italy’s Emilia-Romagna region, or even, at times, the old-fashioned Japanese model of networked company “families,” means that Mondragon can harness economies of scale for purchasing and forecasting like a capitalistic corporation can. A possible American model could start with (as an example) an apple orchard. However, the co-op growers of the apples would do well to try to begin an allied co-op market (then maybe a small chain of markets) so that their apples can be a featured product. If the store has success with multiple stores it should be contemplating a co-operative trucking company that could bring those apples to co-op stores that aren’t in the immediate area. All of these networks would need to continually seed new capital ventures by offering new members an opportunity to work based on additional subscriptions. There will also need to be alliances formed by like-minded but separate co-ops to advance the cause. Co-op members would need to, whenever possible, patronize the products and services of other sharing-economy outfits, bank with credit unions, support the creation of co-op trade associations, and promote educational training programs at schools of business. Pushing forward an overall collaborative economy makes the chances of success higher for each small co-op. The meeting point for unions and co-ops in this scenario lies in the fact that unions have amassed sizeable investments, dues, and are now even in some cases running the pension and medical health plans that management used to administer. Unions could leverage their financial holdings (with affirmative member votes) to potentially buy some plants outright and turn them into worker-owned plants that might be smaller-scaled ventures. The Union Co-op model as outlined by the Cincinnati Union Co-Ops Symposium in 2010  would involve having worker-owners gathered into an assembly as an overall body for oversight and voting. The employees would elect a Board of Directors to oversee administrative duties as well as a Union Committee (which, in turn, would represent that co-op or network before a national or regional union). The Board would decide on managers. The Union Committee would negotiate contracts, wages, and benefits in concert with the appointed managers. The larger national union would in turn have the ability to achieve economies of scale to help negotiate pensions and health benefits that might not be attainable for an individual co-op. Meetings of the employees allow the opportunity to shift priorities and change management if the owners aren’t satisfied. The Ohio Employee Ownership Center (OEOC) at Kent State University works to achieve a variety of more democratic workplaces and better distribute the means of ownership by: helping owners of businesses set up a transfer to employees, helping businesses form as Employee Stock Ownership Plans (ESOPs), and assistance in developing worker-owned co-operatives. One of the fascinating successes in the Buckeye State was the Evergreen Cooperative Initiative in Cleveland. Through assistance from local foundations and institutes of higher education, a plan developed to create wealth in low-income neighborhoods by creating a co-op business that would not take heavy capitalization to get started. It introduced the Evergreen Co-operative Laundry. Soon that was followed by Evergreen Cooperative Solar (a weatherization company), and, most recently, a Green City Growers Cooperative. All of these ventures require a low overhead in order to entering the market, keep jobs in communities, increase stability in those neighborhoods, and instill pride and co-operative decision making amongst members. A similar venture in Springfield, Massachusetts called Wellspring began in its first venture through local funding organizations to seed their lift-off. Wellspring’s first business is an upholstery service to local businesses. Based in former community “anchor” institutions like the former Federal Armory buildings and workshops the co-op is training low-income residents in the upholstery business (similar to how union locals formerly did much of the skilled trades training) that they will eventually run as a team. Meanwhile, back in Ohio, the Cincinnati Union Cooperative Institute (CUCI) formed in 2009 in response to the historic USW-Mondragon agreement. CUCI has developed more closely along the lines of how Mondragon operates, with key social justice outcomes, in addition to creating economically secure jobs. Some of its initiatives like developing a sustainable food hub in the region, a metropolitan co-operative rental housing market, and a clean energy plan are complex projects that would transform not only the labor market, but home-ownership, and energy efficiency. These efforts will necessarily take longer and may not always bear fruit. As noted above, the main barrier to co-op creation is obtaining enough like-minded and skilled individuals who can “throw-in” their capital to start one. Funding and loans have usually been the biggest barriers toward traditional business start-ups too. In the Evergreen and Wellspring initiatives, local foundations, colleges, and business incubator programs have worked collaboratively to help get co-ops going and started in the right direction. Many of them will likely be retained as advisors, mentors, and probably funders, until the original co-ops that they helped formed can spin off new ventures and pass along the know-how they’ve acquired. The OEOC has also championed the assistance it can provide to retiring business creators and owners to keep the legacy of their venture going strong by selling or awarding the business to their employees to operate. This type of transaction could be valuable to a community in that it keeps knowledgeable people in place and jobs local. As co-ops grow some might elect to form a union within the owner-operator framework so that all employees are covered by a collective bargaining agreement. Others might forego unionization figuring that the co-op model provides enough democracy already. But forging specific ties with unions allows co-ops to build a network toward a larger, mass movement that would be able to speak with boldness about inequalities in society and how more workplace democratization could bring about political democratization. Having a more equitable workplace also promotes a common ground philosophy that can have real-world benefits too in building a more just society where shared interests and mutual understanding are more readily understood. Living in an era of rising income inequality, poor levels of civic participation, and a lack of good political choices have brought us to a crossroad in our society. This can be our “Fr. Jose moment” by intentionally planning our work places to give us a balance between productive work, a comfortable standard of living, a say in how our economy works, and more opportunities to spend with family and friends.